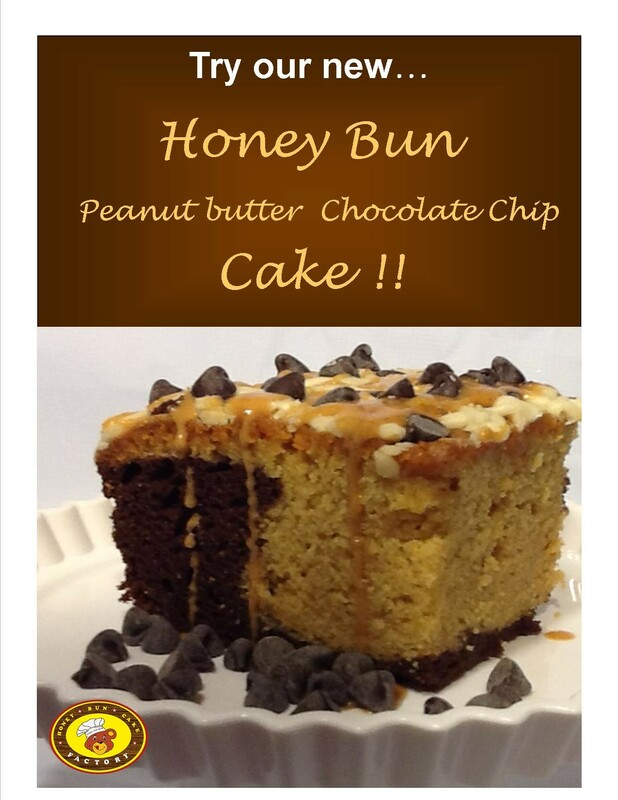 Our ultimate Chocolate Chip Peanut Butter cake will make your taste buds sing! Same rich and moist cake with a swirl of chocolate and peanut butter. Our ultimate Chocolate Chip Peanut Butter cake will make your taste buds sing! Same rich and moist cake with a swirl of chocolate and peanut butter. Here are our cake sizes and how many people you can serve: Regular-12x9 ( can serve up to 9 people ), Large- 22x13 ( can serve up to 25 people ).